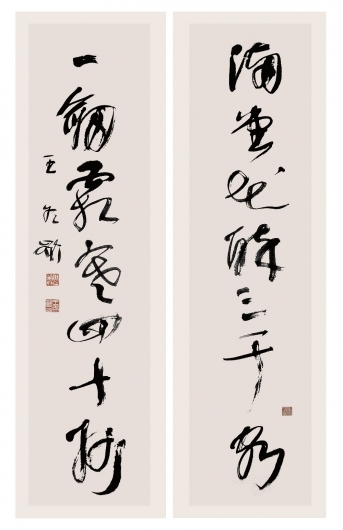 Wang Dongling is a leading artist and calligrapher renowned for large-scale abstract works that he calls “calligraphic paintings.” Wang's calligraphy instructor Lin Sanzhi (1898-1989) encouraged him to extend beyond the limits of tradition to find a method of individual expression. 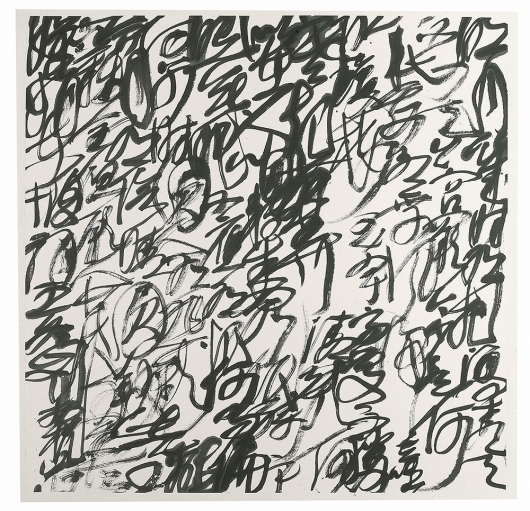 Over time, Dongling acquired the confidence to experiment with ways in which the calligraphic stroke might be liberated from the conveyance of meaning, using the line as a form of expression, parallel to the use of line he admired in Picasso, Klee, Miro and Matisse. 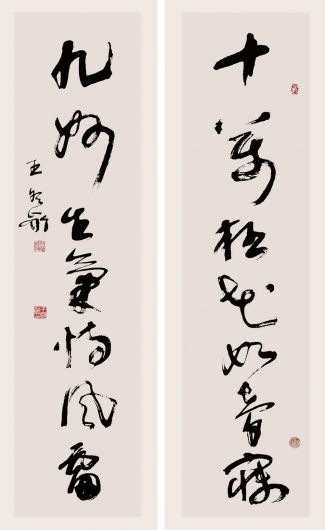 The act of his painting became a physical performance in which Wang translates the text of ancient Chinese poems with gestural interpretations of traditional characters. 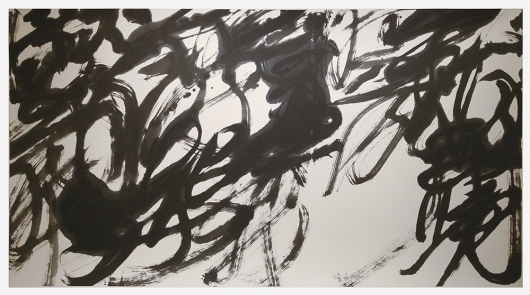 With bold and forceful brushstrokes, Wang often saturates the paper all the way to the edges, reversing the usual ratio of background space to figure on the paper, thereby creating a heightened sense of tension for the viewer. 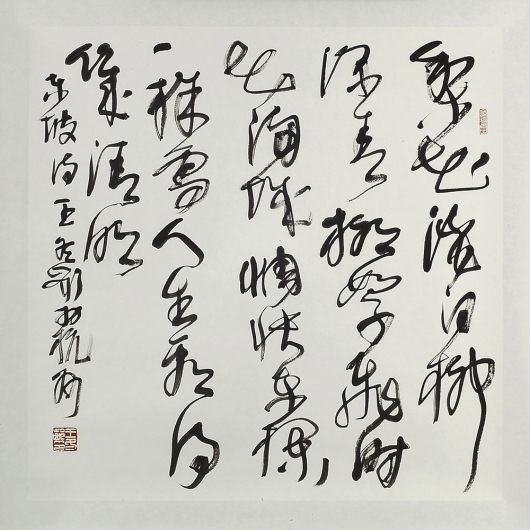 Our gallery features some of his early works in running calligraphic script from the 1990s as well as select works in Chaos script (luanshu). 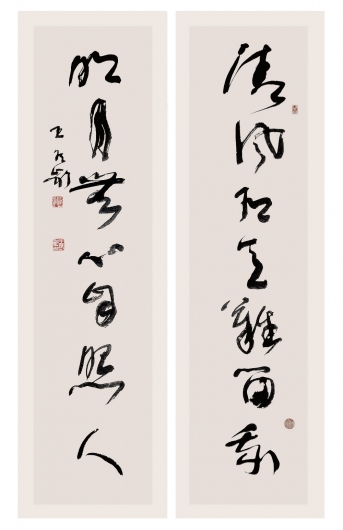 Wang's works are represented in the collections of museums around the world including the British Museum, the Metropolitan Museum of Art, the National Art Museum of China, the Palace Museum (Taipei), and the Victoria and Albert Museum as well as the University of California, Berkeley Art Museum; Harvard University Art Museums; the Cantor Arts Center at Stanford University; and Yale University Art Gallery. Recently, he did performances at the Culture Palace, Beijing (2016), Brooklyn Museum, New York (2015), Hong Kong Museum of Art (2014), and his works were included in the Metropolitan Museum's exhibition Ink Art: Past as Present in Contemporary China (2014).